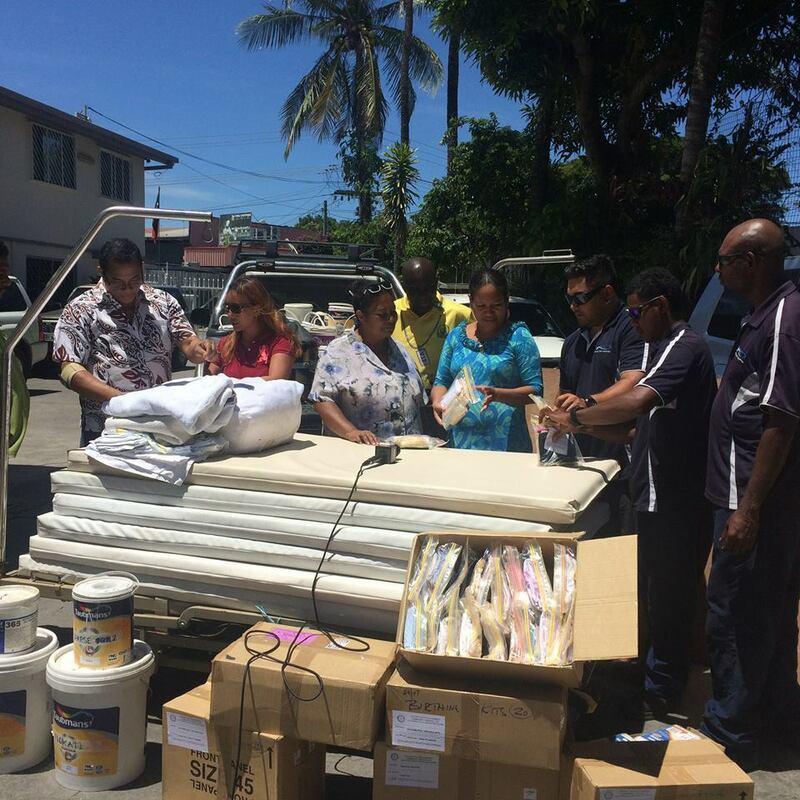 Hula Health Centre in the Central Province received much needed assistance from the Emstret Voice for Villages Foundation in partnership with Sport Fishing PNG this week, with supplies for the Maternity Ward. The supplies consist of hospital beds and set beddings, Maternity Ward Sanitation packs in boxes along with maintenance equipments to refurbish the Maternity Ward and the Health Centre. Hula Health Centre located in the Rigo Coast Local Level comes under the United Church Health Services of East Central Papua Region of the Central Province. And the Health Centre services the surrounding villages in that Local Level, with a population of more than Fifteen Thousand people. The Health Centre representative Sr. Kila Tamate also the head midwife of the Maternity Ward says that it’s a privilege to be receiving the support from such good hearted people. As this was a timely support due to those items now will be used in the Wards. Emstret Voice for Villages Foundation, Founder Ms. Vani Nades says that their aim is to being basic services to rural areas and assist in health, education and social livelihood of a community as a while.